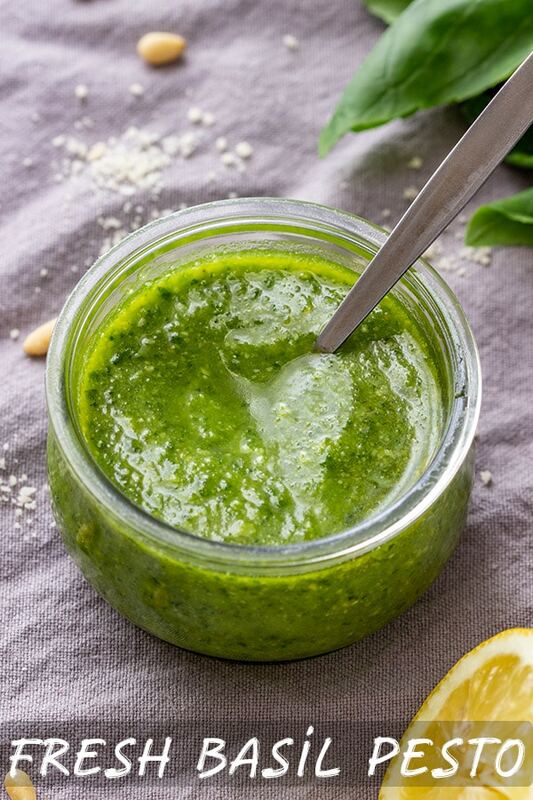 This is an easy recipe for fresh basil pesto. Made from scratch, this popular Italian condiment is packed with flavors. 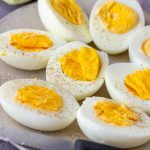 Easy and quick preparation! 6 minutes is all you need! Fresh basil pesto is a versatile condiment and can be easily made at home. 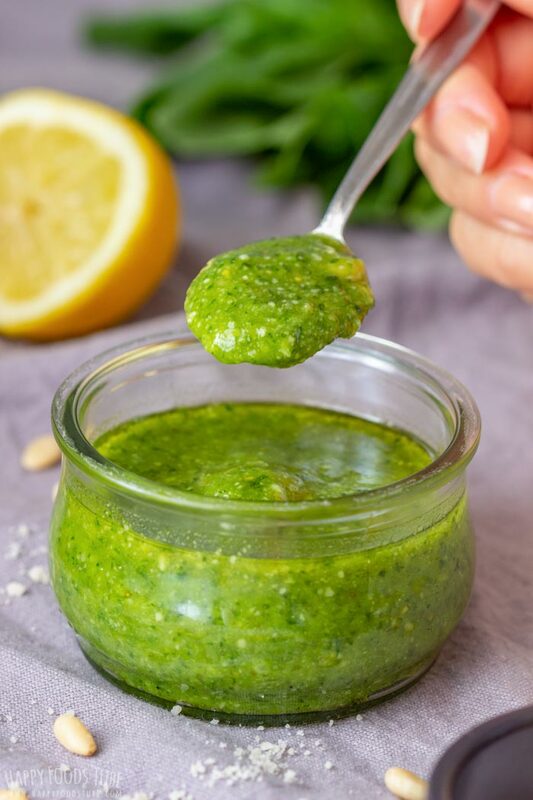 The taste of homemade green pesto is a hundred times better than the shop-bough version and there are no artificial colorings nor preservatives added! Do I need to blanch basil for pesto? No, you don’t. I never do when I make fresh basil pesto! Do you use the stems of basil in pesto? I don’t recommend using the thick ones as they may not process well. You can use the thin ones that are close to the tips, if you like. First, toast the pine nuts. This takes about 2–3 minutes. When ready, throw them into a food processor altogether with basil leaves, olive oil, garlic and Parmesan. Pulse until well combined. Taste it and add seasoning (if needed) and lemon juice, if you like. 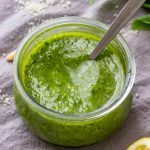 How to store fresh basil pesto? 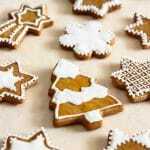 Store it in an air-tight container or a jar sealed with a lid. It can last up to 7 days in the fridge. 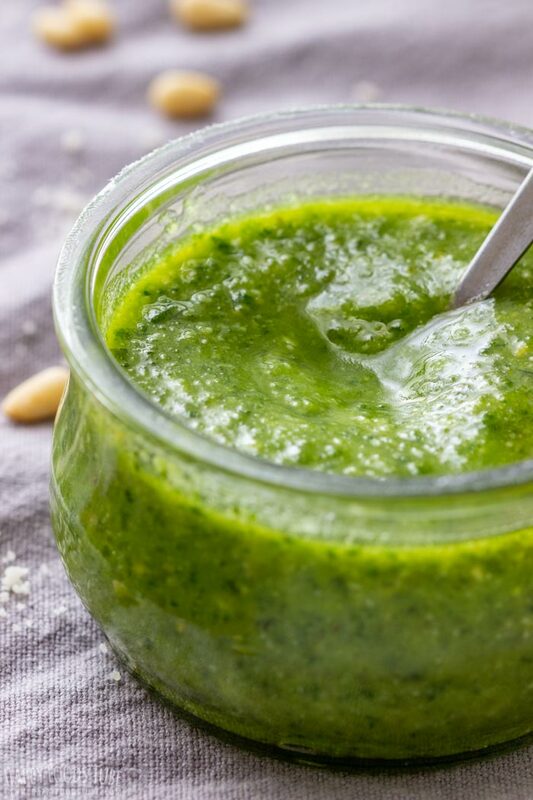 Can you eat pesto cold? Yes, you can. I like spreading it over toasted baguette (Prosciutto Fig Crostini is a tasty appetizer made with pesto). 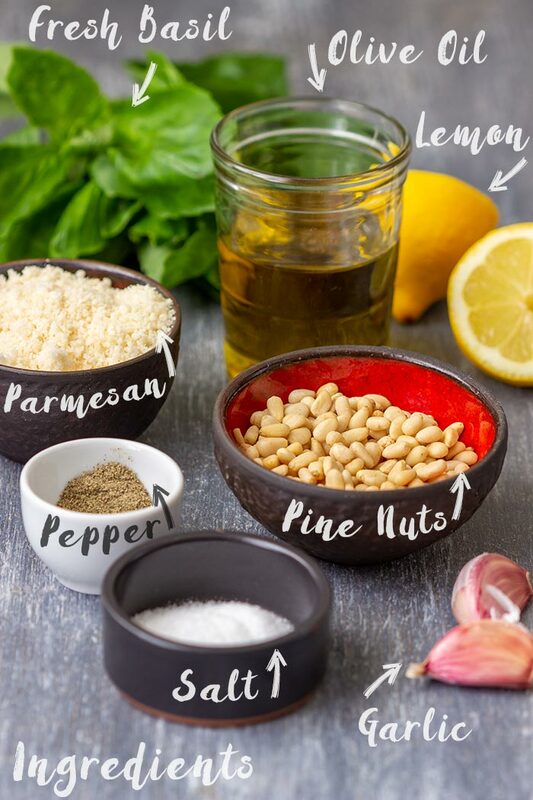 Can you eat raw pine nuts? Make sure not to burn pine nuts. They only need a couple of minutes on the stove top. I like to stir them a lot, so they don’t get burnt. Use extra virgin olive oil for best results! It’s the best oil and the healthiest as it is cold-pressed. Do not use vegetable oil. 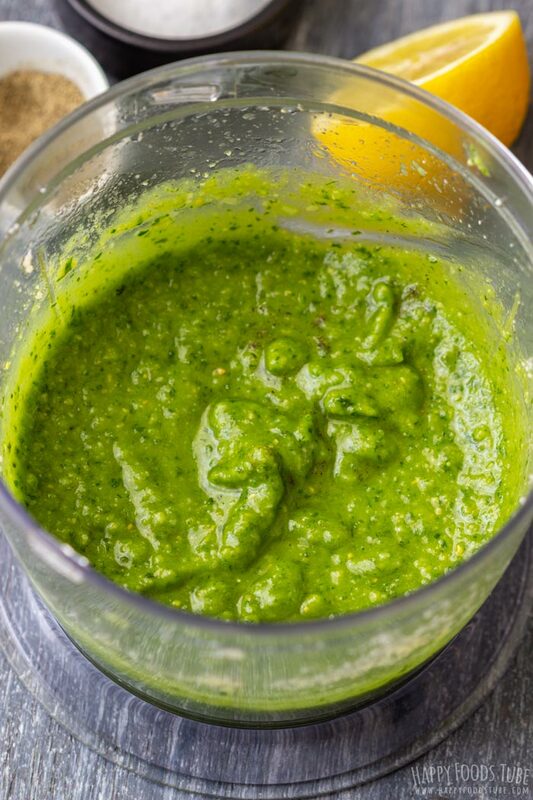 I like adding lemon juice to this fresh basil pesto, but if you don’t want to, you can omit it completely. Please add salt and pepper at the very end, after you have processed the pesto and after you have tasted it. If you feel that it is salty enough for you, then do not add any salt at all. This is an old post that has been recently updated with new photos and more tips! 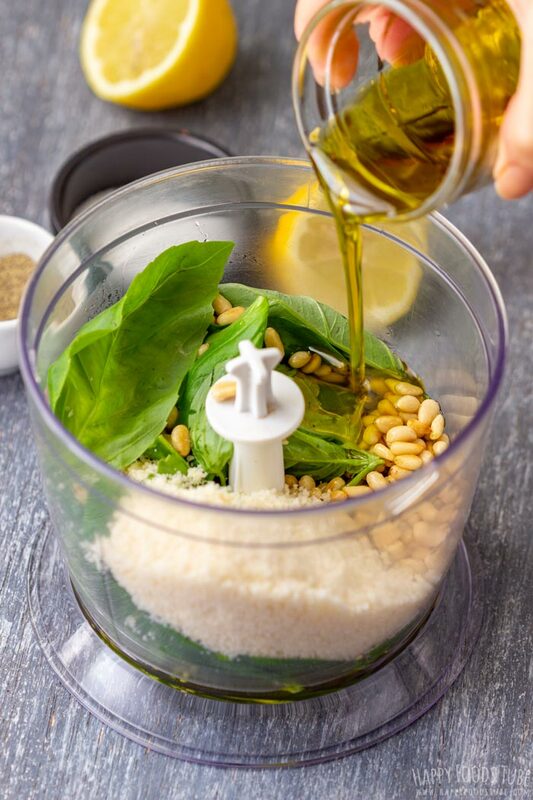 Want to see how to make Fresh Basil Pesto? Watch the video! In a skillet/frying pan dry-toast the pine nuts. 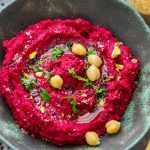 Place them in a food processor altogether with basil, olive oil, garlic and cheese. Process until combined. Taste it. Add salt/pepper/lemon juice, if you like. 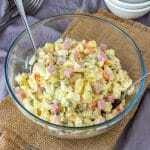 This is a basic recipe and the ingredient amounts can be adjusted to your liking. Salt and pepper are completely optional as the cheese is salty enough to flavor the pesto and I usually use only a little. 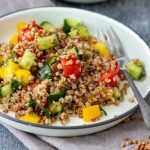 Extra virgin olive oil is the best oil to use and I highly recommend buying a bottle for this recipe. You want to achieve the best flavors. 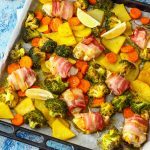 Do not substitute olive oil for vegetable oil. 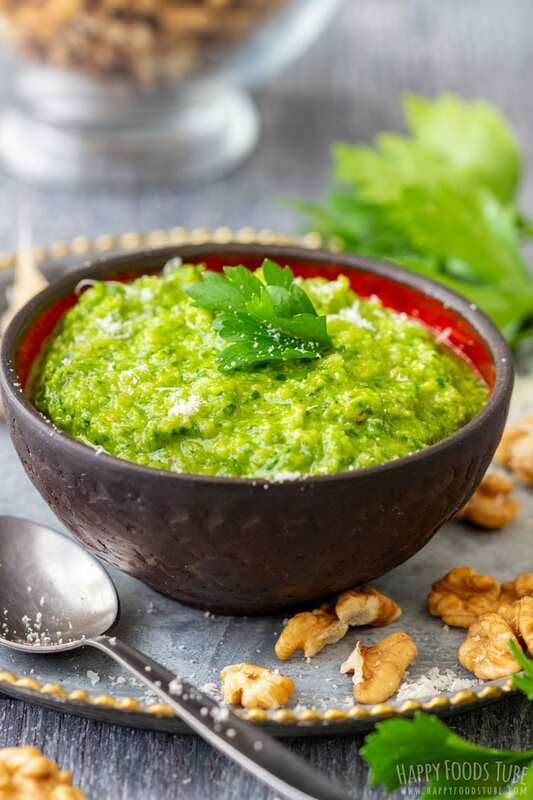 This recipe yields almost a cup of pesto which is about 16 tablespoons. To get a thicker consistency, add more cheese or basil. 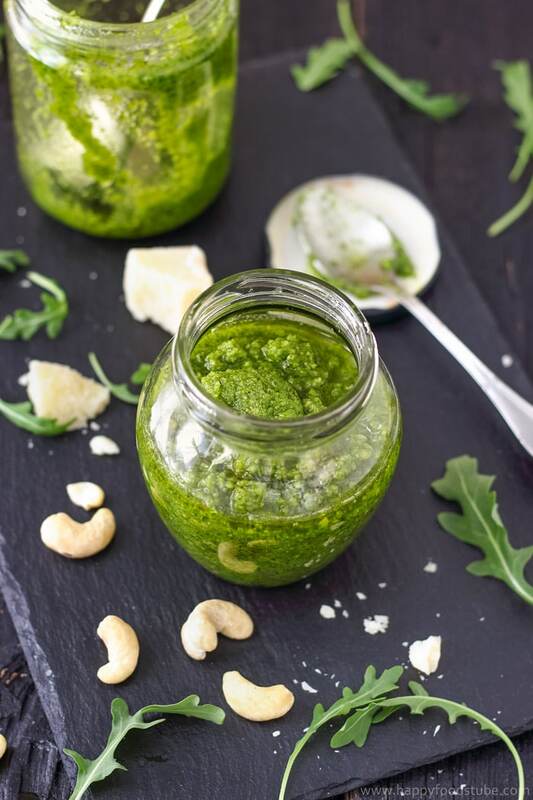 Pesto can be refrigerated in an air-tight container for up to 7 days. You just can’t beat freshly made pesto. Such a great way to liven up some pasta in a flash. I love homemade pesto! It’s the perfect thing to have in the fridge for quick sandwich upgrade! 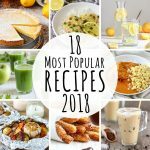 This post is making me wish for summer and fresh basil! Yes, this pesto looks so pretty! 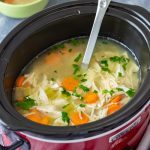 It is so much nicer to make your own I believe and your recipe sounds delicious. I can imagine spreading it on everything. I really like the photo with the text as it tells me what each ingredient is. Cheers for sharing! Thank you, Adrianne! Hope you give it a go!